Something curious happened en route to the unprecedented digital rise of retail: the brick-and-mortar experience survived. It is a wonder that in the burgeoning era of e-commerce, physical store sales make for 90% of the $4.7 trillion total retail sales in the US. According to the US Department of Commerce, in the last quarter of 2017, e-commerce sales accounted for only 8.9 per cent of the total retail sales in the country. A Gartner report predicts “brick-and-mortar stores will remain the dominant revenue-generating channel… for the foreseeable future”. Experiential shopping makes all the difference. According to a PwC report, 60 per cent of consumers still prefer to shop in-store instead of online because they are able to “see, touch, and try the merchandise”. This trend is spurring online-only brands like Amazon, Warby Parker, and Bonobos to open physical stores that avoid the common pain points of offline retail — slow-moving check-out lines, missed selling opportunities, poor customer service, ill-informed store associates — and thereby, loss of revenue and clients. A major chunk of their revenues still come from e-commerce. But brick-and-mortar stores provide such players a marketing boost and a healthy injection of customer experience. Retail spaces are evolving from selling points to branding hubs. Stores like Samsung 837 and the new Adidas shop, both in NY, are more of experience centers. Consumers go through concepts (like larger-than-life screens), experiences (like testing sports gear on “turfs” and “tracks”), and product-familiarization in these outlets. Purchase takes a backseat; branding becomes priority. Most shoppers experience and order a product in-store and get it home-delivered (or even drone-delivered). With the ‘click-and-collect’ concept, customers can order online, and experience and pick the product from the actual store. Either way, experience is the key connect. The future of retail lies in the crossroads of online and offline stores. Enterprises are waking up to this omni-channel reality. They are re-programming themselves to be fluid enough to occupy both spaces. This agility is leading to incisive innovation in the realm of technology and the ‘experience economy’. Online or offline, inarguably, digital is the only way forward. With almost 50 per cent of Internet penetration in the world today and 3.419 billion people acquainted with the WWW, digital is an organic extension of the physical. Taking cue, physical stores are scrambling to stay relevant by adding cutting-edge technology to expedite experience for the hyper-connected consumer. From Bluetooth beacons to smart mirrors to in-store robots, technology is the buzz word in the physical retail space. Data analytics is a dominant technology in today’s retailscape. NY-based Acustom Apparels’ Digital Measuring technology creates a 3D body model using 2 million data points (in just 15 minutes!). Their bespoke algorithms analyze measurements along with fit preferences and create perfect-fit suits and shirts. This has led to better customer satisfaction, and an angel investor has recently funded $3mn to the brand. Cloud services and Big Data analytics play a leading part in this ‘retail revolution’. Quotient’s Retailer iQ technology analyzes enormous amounts of in-store data in real-time, stores them on cloud for future reference, and delivers relevant and personalized promotions (like coupons, offers, information etc.) to shoppers. This has resulted in driving profitable sales and building customer loyalty for partners like Albertsons Companies, Dollar General, and Walgreens. These technologies greatly impact the vital areas of supply chain and inventory management. Lightspeed is a multi-facility system that takes care of employee management, inventory management, and sales processing. It is cloud-based, so it allows retailers to ‘take their store’ anywhere in their iPad. While Atlanta-based Perrine’s Wine Shop believes using Lightspeed has made “selling easy and customers happy”, Harney & Sons SoHo feels it helps them “build customer relationships”. Programmable enterprises are getting rid of their monolithic systems and opting for such lean and flexible technologies that cultivate innovation. Robotics is no longer futuristic. Don’t be surprised to see Simbe Robotics’ Tally robot hovering around product shelves at Target stores in the US. 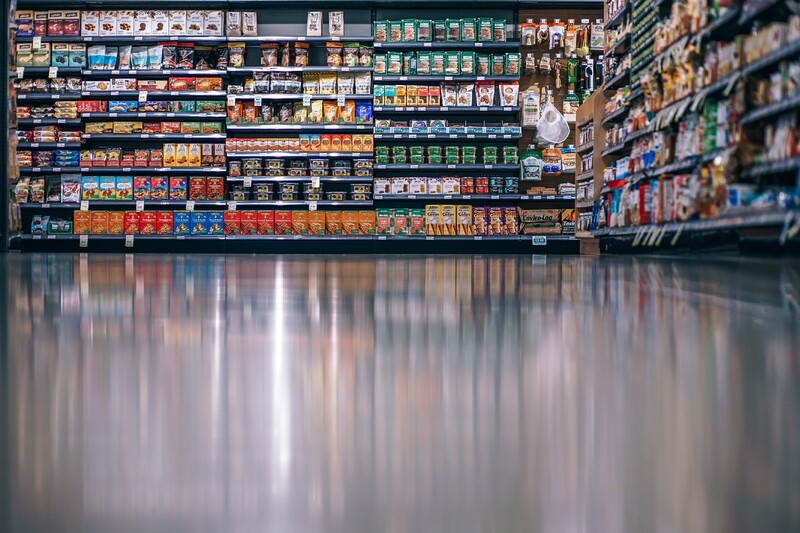 It uses data analytics, Artificial Intelligence, image recognition, and machine learning to deduct price errors, out-of-stock situations, and provide real-time insights. These robots carry out quick and routine full-store audits and empower staff to focus on customer service. Simbe Robotics aims to use its technology to shrink the global $450bn annual loss in retail inventory management. Deep Learning is leveraged by Amazon’s Seattle Grocery store, Amazon Go. With its ‘Just Walk Out’ shopping experience, shoppers pick up stuff from shelves and leave the store. Also aided by computer vision and sensor fusion, the store’s smart shelves detect what products are taken off them and what are placed back. The experience culminates with a bill on the shoppers’ app when they leave the store. The concept shop is currently in Beta test in the US and is all set to enter the UK soon. Location analytics and proximity marketing — based on Near Field Communication (NFC) — are gaining ground as well. Through API-driven apps like Foursquare and Shopkick, retailers can know when their customers are near their store and invite them over via a text message or any offer. At Macy’s, shoppers who walk into the stores are awarded with gift cards through Macy’s API. Even in-store, iPhone users with the Shopkick app installed are alerted about deals and items they may be interested in at Macy’s. Similarly, Estimote’s Bluetooth beacons send push notifications to users’ phones (they need to have the Estimote SDK embedded into their mobile apps) about products or promotions if they sense someone near. Harrods leverages Estimote to assist shoppers to find a particular brand. Such precision marketing uses real-time behavioral data to deliver immediate and personalized content. This contributes to the ‘impulse economy’ that reflects the evolution of the mobile shopper. According to a Capgemini report, 80 per cent of consumers love the personalized experience doled out to them by retailers. Image recognition is slow death for mannequins. Pato Alto’s Memomi Labs has developed a smart mirror technology that allows shoppers to capture images of themselves wearing outfits on a full-length screen and then compare the images side-by-side. The shoppers can control the mirror with body gesture or a mobile phone, and can also see how a garment looks on them in different colors. Designer brand Rebecca Minkoff has seen consumers trying their “magic mirrors” order more items. The idea is “when customers try on more, they buy more,” according to Nadia Shouraboura, retail entrepreneur and former Amazon top executive. This is just the tip of the iceberg. Brick-and-mortar establishments are juggling with a dizzying variety of latest bells and whistles — including AR and VR promotions, API-driven digital kiosks, 3D holograms, Wi-Fi-ready billing devices, and more. The aim is to provide the best customer experience, build competitive branding, and be future-ready. Word of caution: Being experiential is not foolproof. Shoppers would still buy online if they require anything urgent or cheap. At the same time, technology is invasive and insecure. The Capgemini report mentioned earlier also states that 93 per cent of consumers felt retailers are not protecting their privacy well. This is where agility/ programmability kicks in. A brick-and-mortar retailer without an agile DNA will find it tough to survive market flux. Failure to compete with e-players and stay digitally relevant is forcing groups like JC Penny, Michael Kors, Payless ShoeSource, Guess, Crocs, and BCBG to shut some of their brick-and-mortar stores. Programmability should be in a retailer’s DNA. A retail enterprise’s programmability gains ground when it uses technology efficiently and is agile enough to do constant course-corrections. Today’s technology can be tomorrow’s whim. Today’s fad may be tomorrow’s game-changer. Agility is all about embracing the digital disruption (or creating one) and promoting bone-deep innovation. ROI — ‘return on innovation’ — will follow naturally.